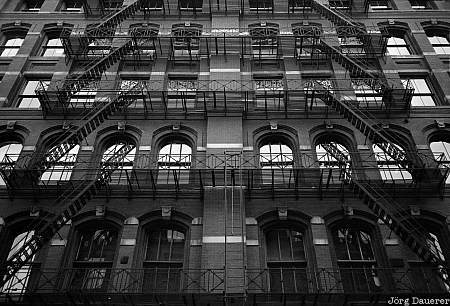 The facade of a cast iron building in SoHo in the south of Manhattan with windows and typical fire escape. Manhattan is in New York City, New York in the east of the United States. This Photo was taken on a cloudy day in November of 1998.